Microsoft now shows all systems working normally. 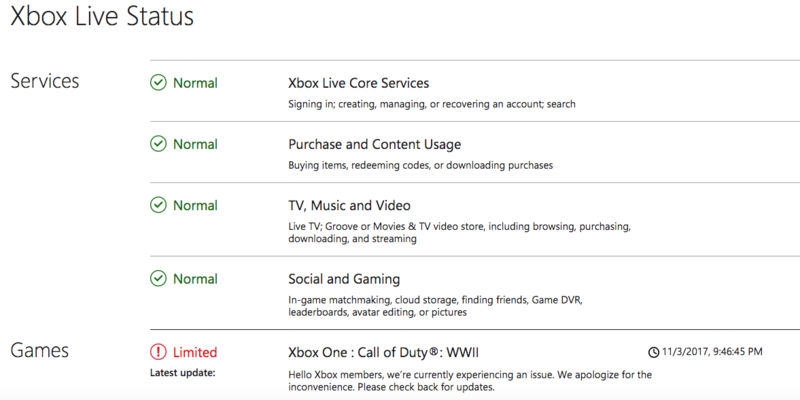 Be aware that Microsoft is reporting issues with Call Of Duty: WWII on Xbox Live. Per the post on the Xbox Live Status, there is currently an issue. Message asks users to check back again later. Activision Support is also acknowledging the issue on Twitter.